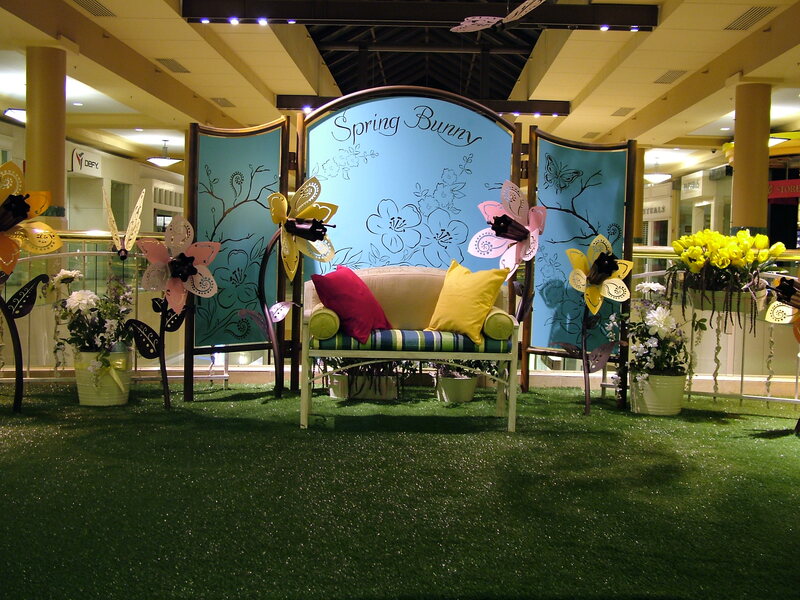 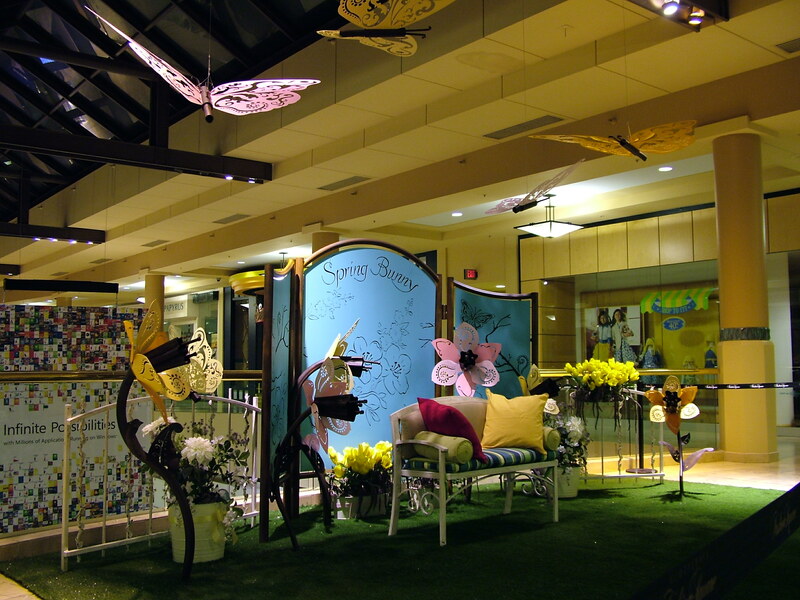 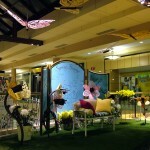 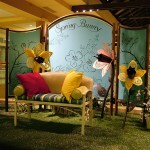 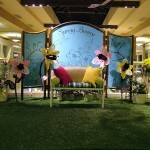 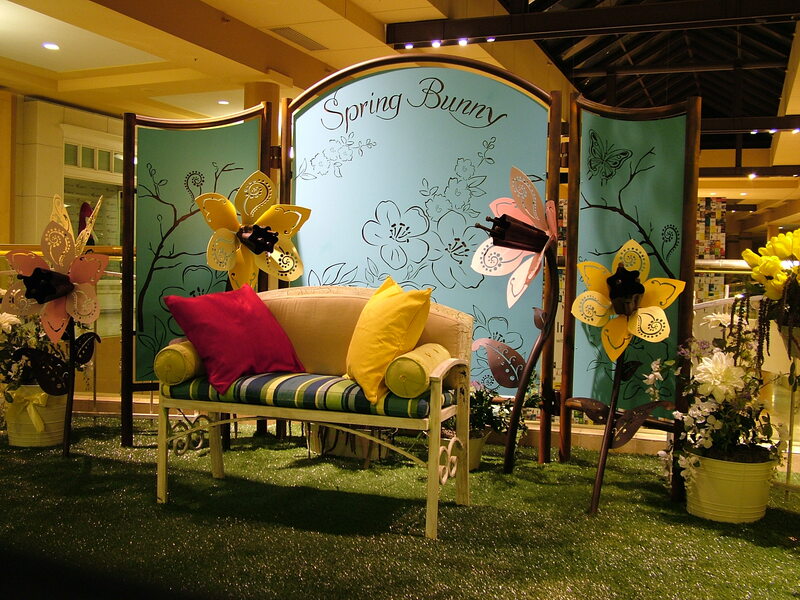 Noerr programs facilitates Santa and Easter Bunny visits in shopping centers around the country. 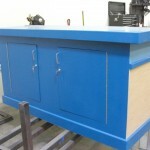 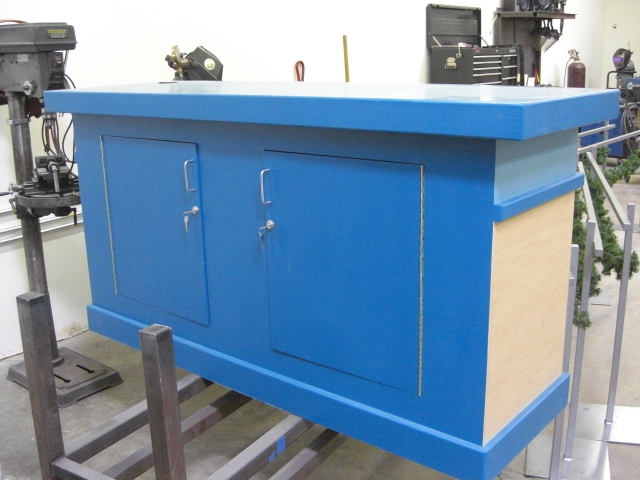 Kornegay Fabrication has helped them create environments not only with metal fabrication, but with fabrication out of wood, fabric, and other miscellaneous materials as needed. 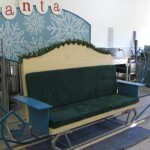 Wooden cash wrap for santa set, custom painted. 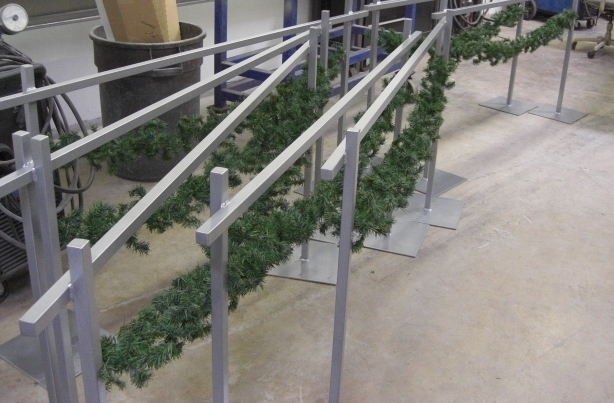 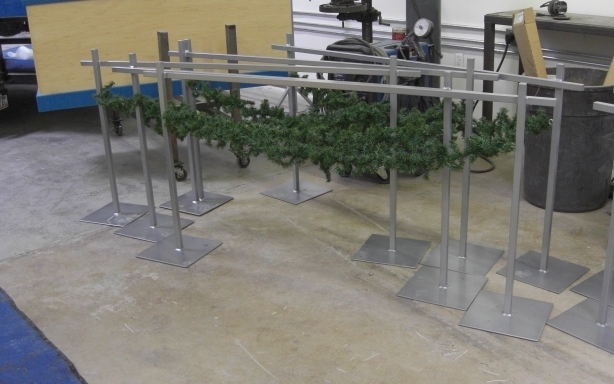 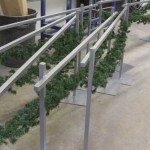 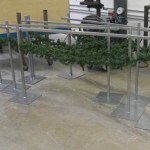 Steel stanchions for santa’s area. 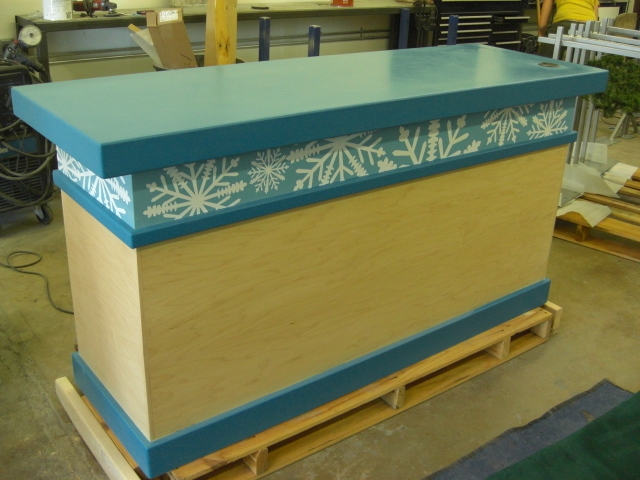 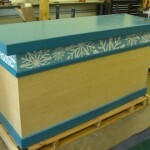 Wooden cash wrap for santa set, custom painted with vinyl snowflakes. 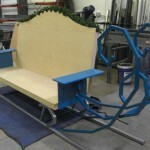 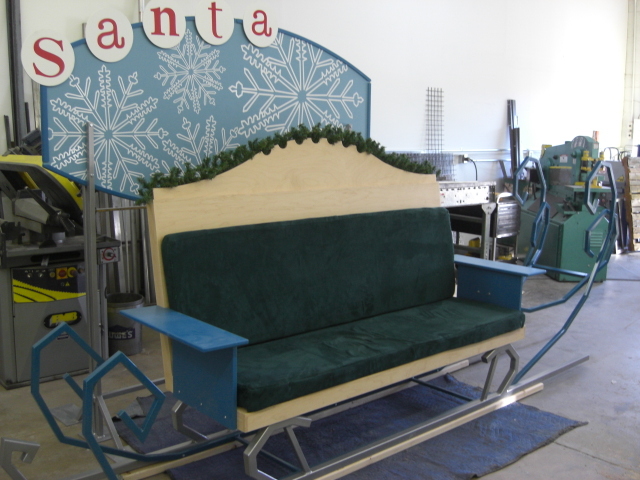 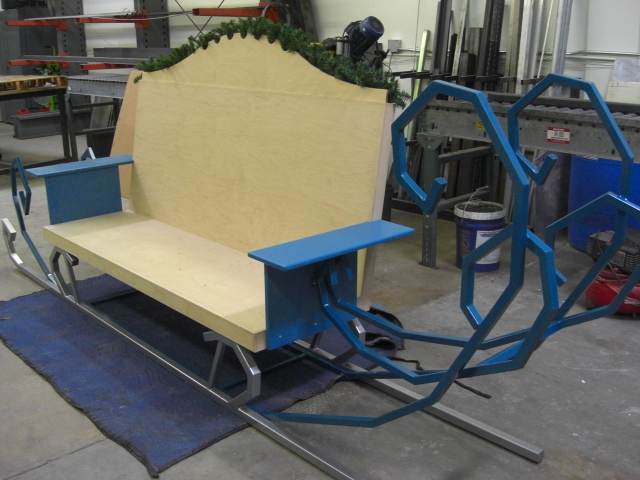 Santa’s sleigh: steel sleigh rails, wooden bench, foam pads with custom covers, and sign with vinyl graphics. 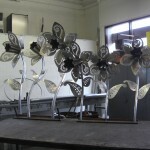 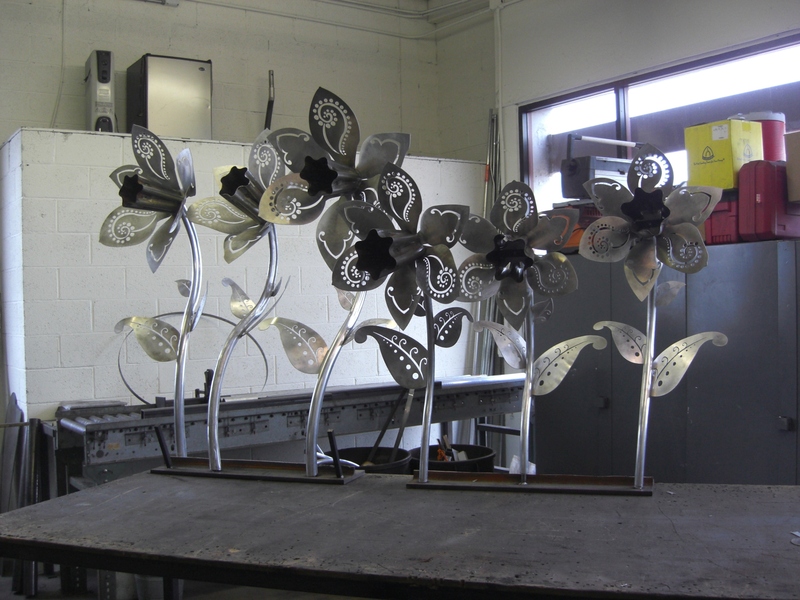 Aluminum flowers for easter set.